Daycare Business Plan in Nigeria – A daycare or crèche is a place where babies, toddlers and young children are kept during the daytime while their parents are busy with work. It’s a sort of playground/classroom setting where these younglings hang out, play, rest and are taking care of by trained handlers so that later in the day after work the parents can come pick them up. 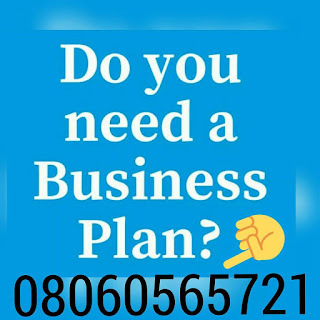 After paying for your day care center Business In Nigeria Feasibility/Business Plan and Manual, send your email and payment details to 08060565721. As a daycare business owner, you are in control of how much money you make on a daily or monthly basis; you are in control of your time and you also decide what kind of client to take in. The best businesses are known to generate profit while running on a moderate overhead and low operating cost. Daycare centers can be started with very little overhead and you can also start this business from home to cut startup cost. The high demand for specialty daycare services like drop-in care, 24hour daycare, vacation care, sick daycare, and daycare for kids with special needs is growing daily. Now despite the current economy, daycare businesses can be very lucrative. This is because both parents in the household must now work to make ends meet. Setting up a childcare center is definitely one of the easiest things to do because there is a lot of information at your disposal and it doesn’t require any special skill. Passion is the name of the game in this business. What this means in essence is that if you love and enjoy being around children, then this business is for you. For those who are already parents, daycare business is perfect for you because it makes it possible for you to stay home with your own children and still earn an income. H. You provide job opportunities for people. There is a high demand for Creche and daycare schools in our urban centers in Nigeria. Why do I say that? How many working class mothers do we have in many of our cities? How many of them have nannies to look after their kids? Fact is toddlers can be a big distraction in the workplace and many mums know this hence why they choose to enroll their darlings in Creches and day care centers. This is the reason many primary schools set up nursery arms to serve as daycare centers. How profitable is the Daycare Business in Nigeria? Like all businesses that depends on many factors but considering that parents pay N30,000 per term for nursery schooling you could charge each parent say N5,000 per month. Let’s assume you have 12 enrollments multiplied by 5 that’s N60,000 for the first month. After paying for your Daycare center In Nigeria Feasibility/Business Plan and Manual, send your email and payment details to 08060565721. How do I enlist your help with writing a business plan for daycare services?Please contact me via my email address listed below. what are the challenges in this business industry, for example; economical, social,legally, technological etc. I think I’m interested in the business, but I’ll need more materials on this to give a little push on the business before I can demand for the Business Plan. And what are the challenges (social, economical, legal etc) in the business.